but helps keeping your neck and shoulders warm against the first chill on a summer’s evening. 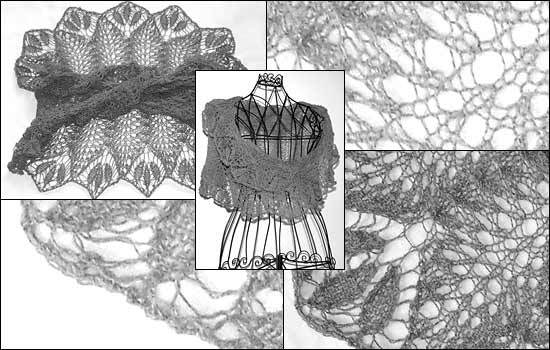 It is knitted from laceweight yarn in an all-over pattern and finished with an airy lace edging. The pattern is charted and contains a photo tutorial about the necessary cast-on technique.